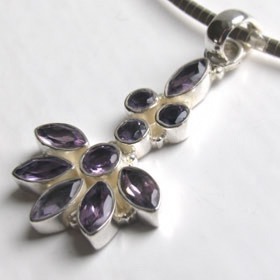 An amethyst pendant set in sterling silver is a unique piece of jewelry to give or to wear. 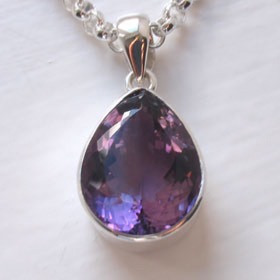 Apart from its stunning range of colours from pale pink through to deep regal purple, amethysts are available in a wide variety of sizes, cuts and qualities. 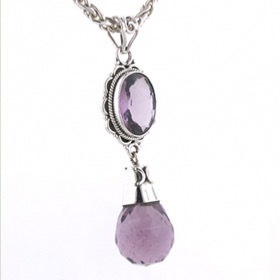 Our sterling silver amethyst pendants feature gemstones from Brazil and Africa. 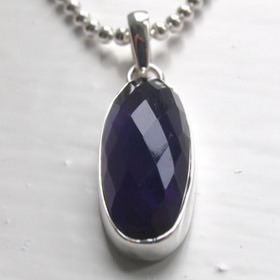 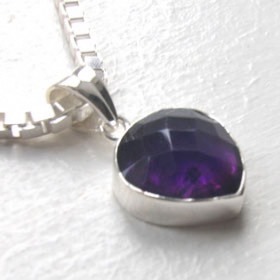 An Amethyst Pendant Is A February Birthstone Pendant. 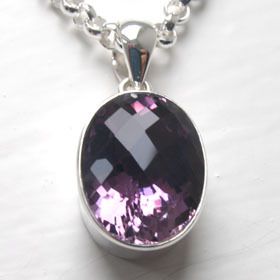 Amethyst is the February birthstone but, as a succesful product and popular gemstone, is worn all year long. 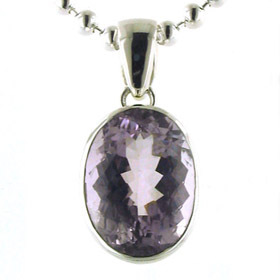 We have a pre-eminent collection of amethyst jewellery including amethyst silver pendants below. 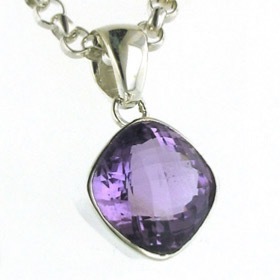 See also our Amethyst Necklaces, Amethyst Bracelets, Amethyst Earrings and Amethyst Rings for even more choices. 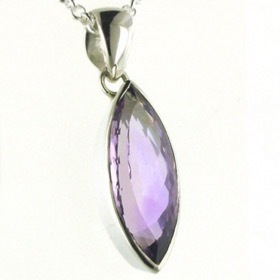 Free delivery on your Silver Amethyst Pendant! 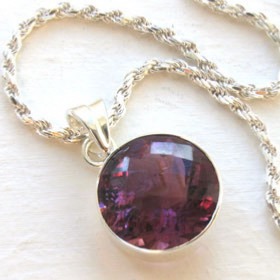 Deep purple checker cut amethyst pendant set in sterling silver. 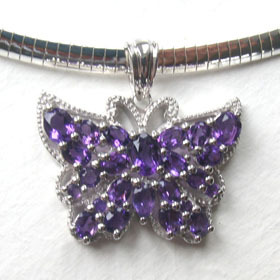 Amethyst butterfly pendant set in sterling silver. 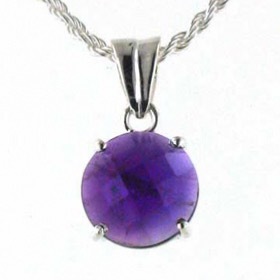 Round checker cut amethyst pendant claw set in sterling silver. 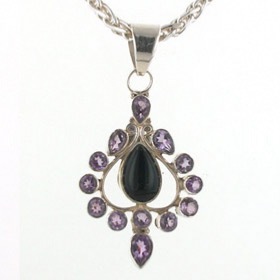 15.25 carat amethyst marquise pendant set in sterling silver. 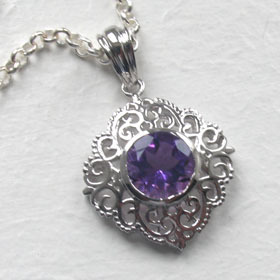 Amethyst pendant with fancy cut droplet set in sterling silver. 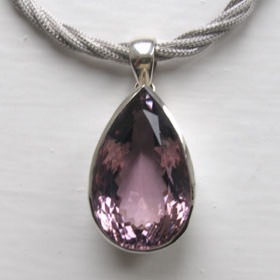 16.5 carat pink amethyst pendant set in sterling silver.